Happy new year from Heaps Decent! 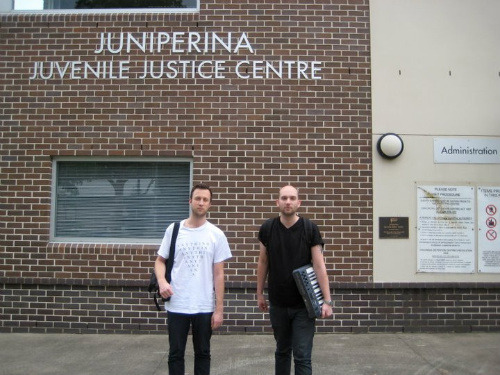 We headed back to Juniperina Juvenile Justice Centre in the first week of 2011 with producers Zombie Disco Squad (above) and Vito De Luca from Aeroplane (below, with Charlie & Nina). 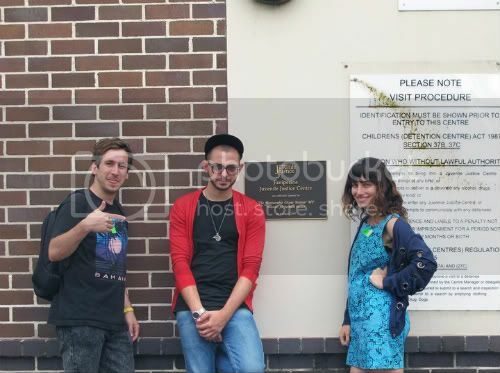 Zombie Disco Squad and Aeroplane were in Sydney for Field Day. Thanks so much to Fuzzy for letting us steal them for our workshops! Our next posts will be videos LIVE from Charlie’s car, post workshop. Uploading very soon!